A huge, 64 oz. hinge-top growler. It'll keep hot and cold the way they should be. 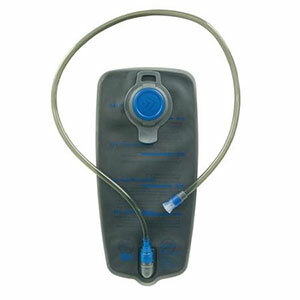 Highly durable, and a great seal. Here we have the Miir Growler. It's awesome. This holds 64 oz. of water or whatever beverage you decide to carry with it. Judge based on your own experiences how long that will last you, as it differs person-to-person. That said, this holds a serious amount of fluid. The hinged opening on top is perfectly done. It's easy to open and close, and the seal is excellent. The vacuum insulated bottle is very good at maintaining both temperature and carbonation (if you're carrying something bubbly). The top is what you might expect from something that is aiming to look stylish, but the practicality of it is also notable. This is a very well made product. I see no flaws whatsoever, and the design is so simple, I can't imagine that any of the components will break with use. The all-steel construction is somewhat heavy, but absolutely bombproof. I use this daily to carry either water or kombucha, and it rarely leaves my side. I can confidently stuff it into a backpack without worry of spillage, and the fact that it doesn't sweat is a huge bonus. I have had this for roughly one month now, but I have experienced a variety of situations with it, including a couple drops, and it definitely stands up to the test. 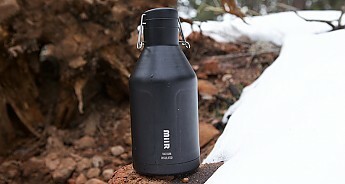 If you need a growler (mind you that's different than a huge water bottle), then get a Miir. They are a cut above without a doubt, and after experiencing the simplicity and quality of this product, I'm convinced that all others are simply gimmicks. 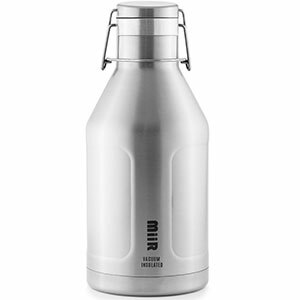 The Miir Growler is not available from the stores we monitor. It was last seen March 9, 2017	at Patagonia.com.